How Can Traffic Exchanges and Squeeze Pages Help Me? Last week I sent out a mailing to my list on behalf of Brett Phillips and John Guanzon about the relaunch of their program TEReports. In addition to adding two new products and twice as may new squeeze pages for upgraded members TERports now offers a squeeze page for free members. This is a great way for free members to start building their list using free traffic exchange programs. One of my subscribers replied to my email with a questions about using traffic exchanges and squeeze pages. I thought I would share my response here. Hi Jerry. I have been receiving your emails for some time now. I like the info but I need some clarity. How do I get on the traffic exchanges, and how will anyone find my squeeze page? I have a network marketing business and I would like to reach lots and lots of people, but I am not sure how. How can traffic exchanges and squeeze pages help me? That’s a pretty big question but i’ll do my best to reply here. First, to get on the traffic exchanges just pick one and join it. They are all free but if you upgrade to a paid membership you’ll get more traffic for less work. Using a traffic exchange is a great way to expose your squeeze page to thousands of new people. It is important to remember though that the traffic you get from traffic exchanges is inscentivized (I know, big word). Basically, that means that most people are only coming to your site because they want to earn credits to show their own site. Your squeeze page should directly target these people and hopefully be interesting enough to stand out in the crowd. It helps to have your own product to give away as an incentive for surfers to subscribe to your list. If you don’t have your own product then you can use any of the free ones provided by TERports. They all work really well in traffic exchanges. Once you start building your list you have the opportunity to build a relationship with the people on your list and to potentially sell to them over and over again. That’s sorta the simplified version but hopefully you get the gist of it. If you need more details… just ask! Do People Buy From You? I just thought i’d do a quick post today to let you know about a new ebook that is being released today from my friend Beth Allen called “Power of Promoting You“. Personal branding is something that I am a very big fan of. I think when most people start out in Internet marketing they prefer to do it under the guise of anonymity. For years I used to market under the name “housedawg”. I think did it out of a lack of confidence for what I was promoting. I figured, hey if this doesn’t work at least nobody knows who I am. Today you would have to look pretty hard to find a page I am promoting that doesn’t display my real name and a picture of my face on it. Because people like to buy from people that they know and trust. That’s why it is imperative that you start building your own personal brand and Beth’s new ebook “Power of Promoting You” will show you exactly how to do it. The best part is that she is giving it away for free! Click the banner below to get your copy now! Here is the latest list of upcoming JV giveaway events that are seeking contributors as of October 24, 2010. Sorry I haven’t been updating my blog as often as I would like. I’m still around, I just haven’t had much time to write. But today I am ready to rant! So, lately I have been spending way too much time on Sweeva. Frankly, i’m addicted. Whatever. In case you live under a rock Sweeva is a social marketing site / traffic exchange. So by using it you are not only getting your site seen by other marketers but you are also getting to know a lot of other marketers socially who are promoting their own sites. I guess recently it has really started to bug me to see how many talented Internet marketers I know are out there promoting illegal pyramid and ponzi schemes. I know. These programs have been around even longer than I have. It’s not like I haven’t seen hundreds of them come and go over the years. But it’s interesting now to finally see the faces and talk to the people who are promoting these programs in a social environment such as Sweeva. Ok, for the record i’m no angel. I’ve been known to bend a few laws in my time. If I am in a hurry I might go a few mph over the speed limit. I probably play the stereo in my car louder than I should and I might even admit to having a few mp3s on my computer that I didn’t pay for. Hey, I’m like a modern day Jesse James. Let’s be realistic here. The police probably aren’t going to break your door down and haul you off to jail for promoting an affiliate link that might not be entirely legal, but does that mean you should do it? As long as nobody gets hurt, right? Money doesn’t just magically appear. No program pays out more than it takes in. The only way for you to make money in these programs is for other people to lose money. Your success can only come from someone else’s failure. Am I the only one bothered by that? No, i’m not a lawyer or a judge. I can’t pass absolute legal judgment over every site out there. But if you are not selling a product or service and the only thing you are offering people is a money making opportunity then chances are it’s either an illegal pyramid scheme or an illegal ponzi scheme. What’s that? You program offers a product or service? I guess that makes it legit, right? In fact, Bernie Madoff would be a free man right now if he had only thought to provide his clients with some ebooks and a rotating banner ad on his blog. You can dress it up anyway you like. If people are spending money on these things with the goal of making more money back then slapping on a worthless product or ad credits isn’t going to make them any more legit. It’s frustrating to me though because sometimes I just want to grab these people and tell them what they are doing is wrong… but I can’t. Who am I to tell them what they should or should not promote? Right? Look, if you have the money and you want to gamble it on one of these programs I don’t really care. Maybe you’ll get lucky and eventually make a profit. Congratulations on your wise business investment. My problem is with the program owners and the people who use these programs to prey on newbies who don’t know any better. The people who only care about making money and don’t care where it’s coming from. To me that is more than just breaking the law… it’s just wrong. Yesterday I updated my list of new JV giveaway events that are looking for contributors. Today I find out that the greatest giveaway event of the season is getting ready to launch. Time to update my calendar again! The big event i’m talking about is Guido Nussbaum’s annual Halloween Giveaway. Every year there are two major giveaways that I look forward to. Guido’s Halloween Giveaway and Guido’s Easter Giveaway. Obviously the Easter one is still a ways off but Halloween is right around the corner! In case you don’t know these giveaways are massive list building events that attract marketers from all across the industry. We are looking for people to contribute free giveaway products to the event. In exchange you will be allowed to add your squeeze page to the list of people contributing. When the Halloween Giveaway launches at the end of the month there will be thousands of new users swarming into the event looking for free gifts and hopefully subscribing to your list to get yours. The Halloween Giveaway launches October 28th. If you have a free gift and want to see your squeeze page listed in the event create your free account now! Here is the list of JV giveaway events for October 10, 2010. I’m sure glad last month is over. I’ve been doing a lot offline work at a new concert venue here in town and haven’t had much time to work on my online stuff. When I am online I’ve been spending much of my time branding myself and building my list at Sweeva. The results have been fantastic but the social aspect can be very time consuming. Two new list builders launched last month. Both of them are running on the same script that List Effects started using a few months ago. The script doesn’t offer a lot of bells and whistles but for a mailer it gets the job done. The first site launched at the beginning of last month called Power Profit List. The site is owned my Michael Coursey who is a well respected traffic exchange owner. As you will see in my stats below Power Profit List is performing well above expectations. Hopefully that will continue into this month. 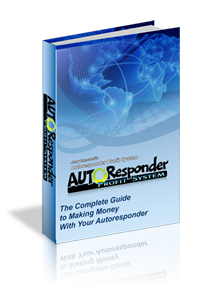 The other new mailer just launched yesterday and is called Quick List Profits. They are waiting until they hit 2000 members before they open the mailing part of the site but considering over 1000 people joined yesterday I am guessing we won’t have to wait long. I just know that when the mailer opens at Quick List Profits I am going to enjoy getting my ads in front of those 2000 new members. And finally, my good friend Winter Perkins dropped a bombshell on me earlier this week when she told me she is going to be taking over Reactive Adz from David Foley. Reactive Adz is an amazing looking safelist but in my opinion it has never fully lived up to it’s potential. I think Winter has what it takes to whip Reactive Adz back into shape. I don’t think the take over is official yet but look for some big changes at Reactive Adz over the next few months. Ok, ready for the stats? Like any other successful Internet marketer I use tracking links to gather valuable statistics about my ads to let me know which advertising sites are bringing me the best results. 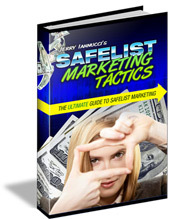 Every month I share my safelist and viral list builder stats here on my blog. These stats are a results of promoting several splash pages for my ebook Safelist Marketing Tactics. I do pay for upgraded memberships at most of these safelists so if the numbers seem higher than what you are getting as a free member that’s probably why. “Clicks” is how many people viewed my splash page. “Action” is how many people clicked the link on my splash page to go to the main site. “Sales” is how many people joined my site. CTA and CTS are “clicks to action” and “clicks to sale”. I ranked these safelists by sales but it is also important to look at the other numbers to determine how responsive each safelist really is. It’s nice to see List Joe back on top again where it belongs. Welcome back List Joe! The newest entry on the list is Power Profit List which launched at the beginning of last month. Not a huge amount of traffic but it’s very “active” traffic which is what really counts. Let’s hope that momentum carries into next month as well. The big shocker this month is DownlineBuilderDirect. This site has been around for awhile as a non-credit based viral list builder but recently made the switch to credits. I picked up a lifetime upgrade and was starting to think I wasted my money after the dismal results I was receiving over the last few months. Looks like things are finally picking up! If you are not already a member of ListBuildingMaximizer you can join there and you are sure to receive some solo ads offering discounts on the upgrade at DownlineBuilderDirect. Even if you’re not interested the upgrade you should be a member of ListBuildingMaximizer anyways because it’s just an excellent mailer. That’s it for this update. Keep in mind that all the stats you see above are a result of my own advertising efforts with my own ads. Your results may vary but you’ll never know it unless you are tracking your ads! You can get a free link tracker that will show you which ad sites work best for you from TE Toolbox.